One of the books I use as a resource when writing the Flower of the Month articles for the blog, 12 Months in View is by Cicely Mary Barker. It is called Flower Fairies: The Meaning of Flowers. It contains interesting folklore and wonderful illustrations. I bought several of her books when they were republished a few years back. I really admire her work. Her botanical correctness; the beauty and detail of the "fairy" wings which are replications of butterfly, moth and bees wings; her keen observation of children and her ability to depict them; her costume design skills and her imaginative ability to combine these talents along with poetry and short fiction writing is incredible. The innocence and beauty of these gentle creations (to me, don't know her intentions) reflect the love and care our Creator took and continues to take in forming us and this world. The Flower Fairies are a delight for all ages! I have decided to post her fairy after each Flower of the Month article article. (The year is almost done, so yes, I am doing this in reverse, sort of. More like inserting extra pages into an unbound book.) Link to them all here. It is my hope that these images will inspire you to take a closer look at the flowers, insects and children and see the same beauty and wonder that Cicely found in them. Today the weather was cloudy with drizzle and high temperatures in the low 60s! I took the opportunity to plant a package of Muscari (Grape Hyacinths) bulbs which I bought on clearance a few weeks ago. The package indicates that these bulbs are deer resistant but I have not found that to be the case. Many a year the flowers have been chomped off just as they were about to bloom. Therefore, I planted this new package of bulbs inside the Hortus Conclusus at the foot of a yellow floribunda rose. While outside, I observed ants crawling along the wood frame of one of the raised beds. A gnat flew past me as I filled the bird feeders with sunflower seeds. A few moths came to the kitchen window, attracted to the light, just before dusk. It is interesting to me that these insects do not truly hibernate. They just rest until the temperature warms up, even if it is temporary. I also got to see a Great Blue Heron fishing in the pond today. And two pairs of mallard ducks were visiting too. We've had a few snowfalls already this season. Here are the monthly photos for December. I'm back to taking the photos from an upstairs window in the house. As fresh as the day. Is a king in conceit. The English Holly, Ilex aquifolium, and the American Holly, Ilex opaca, are common symbols of Christmas time. Images of this plant decorate greeting cards, wrapping papers, dishes, glasses, vases and linens which we display during the holiday season. “Deck the halls with boughs of holly” describes the ancient tradition of incorporating the holly, with its green leaves and bright red berries, (traditional colors of Christmas) into wreaths, garlands and centerpieces. It is said that branches of holly were brought into the home during Roman times to celebrate the festival of Saturnalia, which took place during the winter solstice. 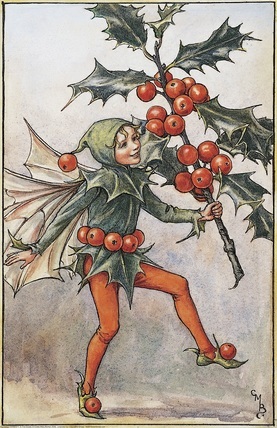 Many beliefs and superstitions advocated bringing branches of holly inside to protect the home against malevolent elves and fairies or to enable benevolent fairies to live in the home among humans during the cold weather. Planted outside the home or barn, holly was said to protect against lightening strikes. Modern science confirms that the spines of the holly leaves are able to conduct electricity to the ground, which protects the area surrounding them. The homeowner has reason to plant hollies near the home and around the property for their great ornamental value as well. The English Holly, with its glossy dark green leaves, is highly ornamental year round and the yellow, orange or red berries on female plants during the autumn and winter months provide cheer when it is sorely needed. Birds eat the fruit, which adds another attractive dimension. The English Holly has over 400 cultivars so there is a variety which will fit your location and taste. Leaves are usually a dark green but plants can be purchased which have blue-green, white variegated or yellow variegated foliage. Stems can be green or purple. Berries are various shades of red, orange or yellow, depending on the variety. Size can range from a foot to fifty feet in height. Hollies of all species need acid soil that is well drained and rich in organic matter. 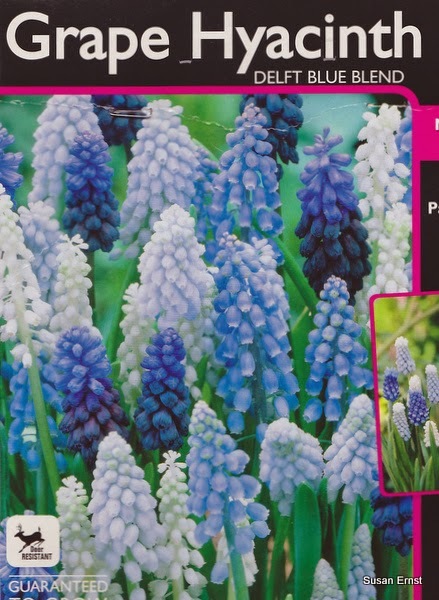 They do best in partial shade but will tolerate full sun in cooler climates. Protect them from wind which tends to desiccate the leaves, especially during the winter months, causing them to turn brown. Most hollies are dioecious which means they bear male and female flowers on different plants. If you want your hollies to bear fruit, be sure to have a male holly planted within a few hundred feet of it. One male holly plant can produce enough pollen to fertilize up to six female plants. Holly berries, though eaten by birds, are toxic to humans. Bees make a reddish colored honey from the flowers, which is described as mild, sweet and buttery in flavor. The wood of holly is extremely hard and ivory in color. It is used for inlaid marquetry, and takes stain beautifully. It has been used to make walking sticks, riding whips, tool, broom and brush handles, chess pieces and piano keys. This spring, plant a holly somewhere on your property. The ornamental qualities will delight you and you will have branches to bring inside each December.